Kisumu based Jaspreet 'Jassi' Chatthe navigated by Gurdeep Panesar in a Mitsubishi Lancer Evolution 10 took the overnight lead in the 65th edition of Safari Rally after leg one drama which culminated at Buffalo Mall Naivasha. Chatthe who is going for his third straight Safari title went to bed with a paltry one second lead from Flying Finn Tapio Laukkanen in the day's last section at Aberdeen Hills in Naivasha. Laukkanen had dominates the stages leading from stage two up till the penultimate run but had to content with playing a second fiddle to Chatthe who drove like a man possessed on the last stage of the day. Chatthe who is the 2015 African champion flabbergasted everyone when he checked into the last control with a 38.40munites total. Laukkanen cleared the day's four sections with a cumulative total of 38.41 minutes with Baldev Chager coming in third with 39.16. Current KNRC leader Manvir Baryan drove his Skoda Fabia R5 machine to fourth place ahead of Carl Tundo who wrapped up his leg one campaign in fifth. Manvir who is among the Kenyan rising stars was lying second after the Ngong section. Chager who was first on the road said:. "Its a little bit rough and wet in Kedong and we are happy to be motoring stil. It was dry in the Abardares." Tundo said: "It's dusty to the extreme as you see me." Duncan who last won the Safari in 1994 during the WRC days settled for sixth place. Duncan was the earlier pacesetter when he beat Laukkanen by a mere one second after the 2km CS1 Jamhuri Park super special which is incidentally the event's shortest section. The 400km event which is one of the shortest in the history of the Safari culminates on Saturday at Afraha Stadium. The technical finish will be at Albizia but the car will head to Afraha in convoy for the ceremonial finish. A total of 45 cars led by Baldy Chager started the 65th Safari from the KICC. The cars moved to the Jamhuri Spectator Stage were a large crowd enjoyed the drivers competing on a dual track. Sports Cabinet Secretary Hassan Wario flagged off the cars from KICC. Wario reiterated Kenya's plans of retuning to the WRC. 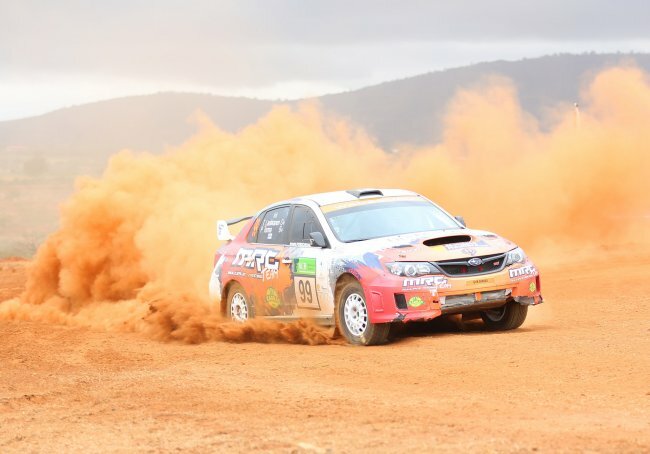 He said he will, alongside Kenya Motor Sports Federation Chairman Phineas Kimathi, appear before Parliamentary Budget Committee on Monday to defend their proposal for the government to sponsor Kenya's Safari World Rally Championship bid. Speaking during the ceremonial flag off at the KICC yesterday, the minister said the government is committed to this course which gained traction last when the government wrote to the WRC Promoter promising total support.